The difficult choices of motherhood. 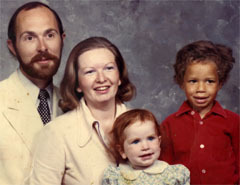 In 1971 Octavio Warnock-Graham's mother returned to her Midwestern community, unmarried and with him as a newborn baby. The circumstances of his birth were kept secret. No one knows the truth, not even Octavio. Despite having the features of a black man and never having met his biological father, Octavio's mother and grandmother refused to acknowledge that he was part black, sometimes saying it doesn't matter and other times suggesting he was Puerto Rican. Not too long ago Octavio saw a picture of his biological father, a man he had never met and knew almost nothing about. The picture confirmed a suspicion that had shadowed him his whole life. 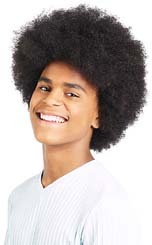 He was not white or black but mixed-race. Octavio draws on these personal experiences in Silences, a 20-minute documentary about a biracial Ohio man who confronts his mother's refusal to acknowledge that he is half black. Silences is showing at the San Francisco Black Film Festival which funnily enough is where Octavio tracks down his biological father who turns out to be a former San Francisco newspaper reporter. 'Having my film in the San Francisco Black Film Festival is huge for me,' says Octavio. 'It was the end of an identity journey and a sense of relief. Having it in San Francisco, where the story buttons up, is like a homecoming for it. 'After meeting his father and finally coming to terms with his own racial identity, Octavio says he is still just beginning to better understand himself.